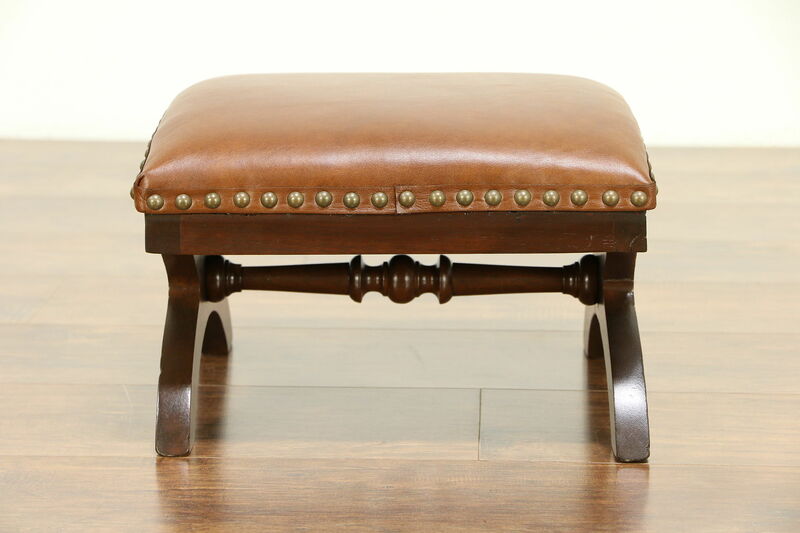 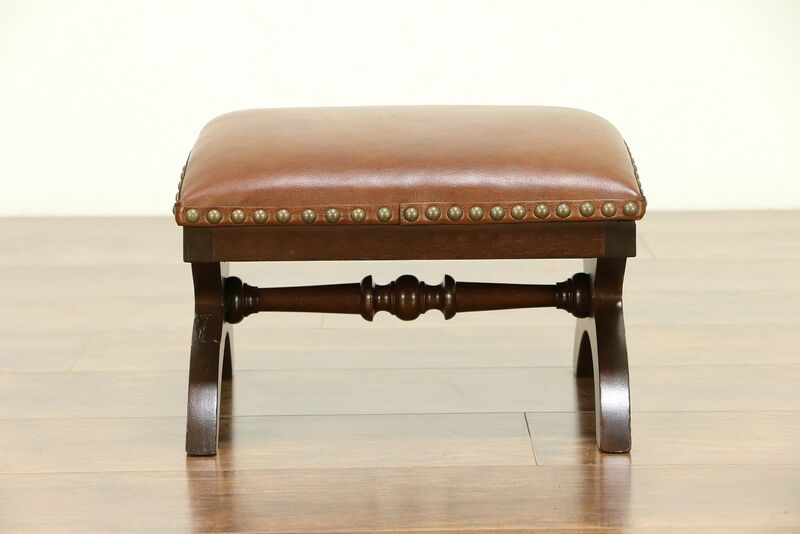 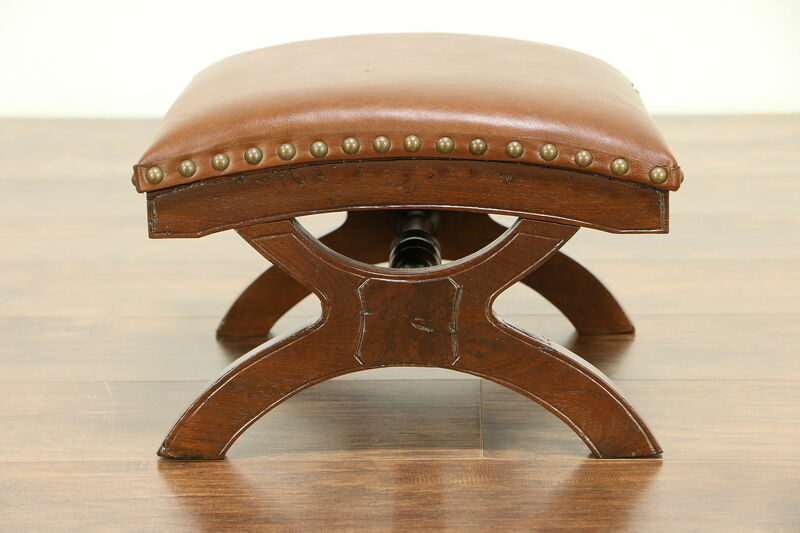 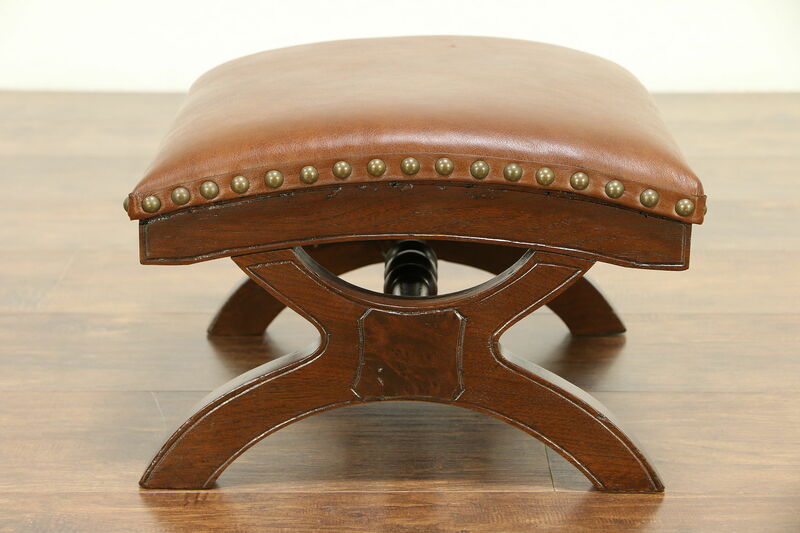 A Victorian period footstool was carved of solid walnut with burl panels about 1880, and has new natural saddle leather upholstery with brass nailhead trim. 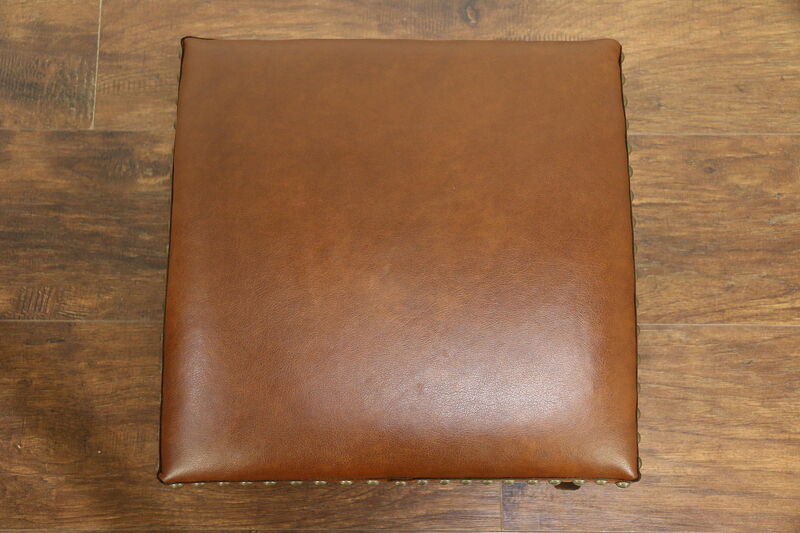 The restored finish is in excellent condition, preserving just enough mars and wear for a little antique character, see photos. 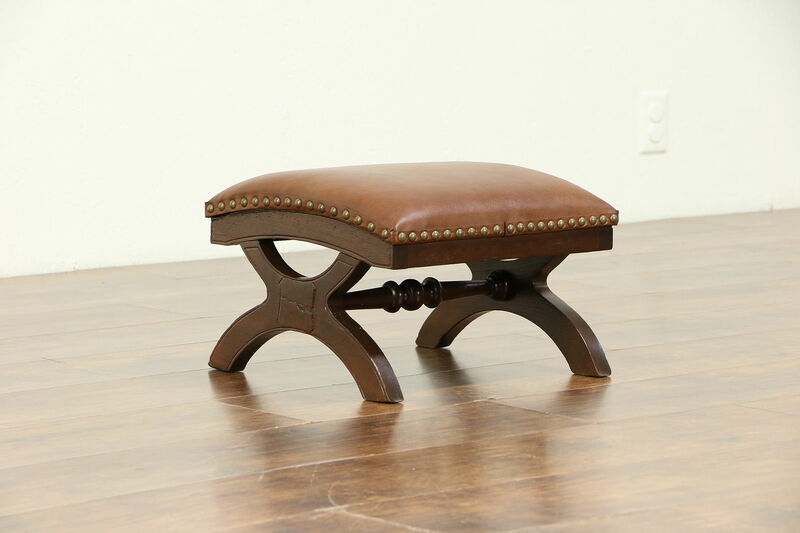 Reglued to serve another generation, the frame is strong and sturdy. 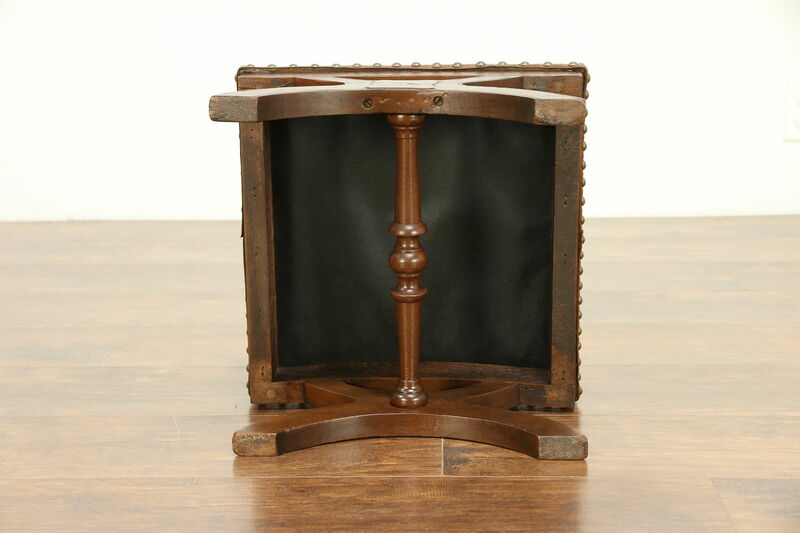 Size is 15" square and 10" tall.